Loudness Penalty lets you preview your tracks for online playback in real time. A new plugin from MeterPlugs aims to give producers a better idea of what their tracks will sound like on different streaming platforms and digital stores like iTunes. 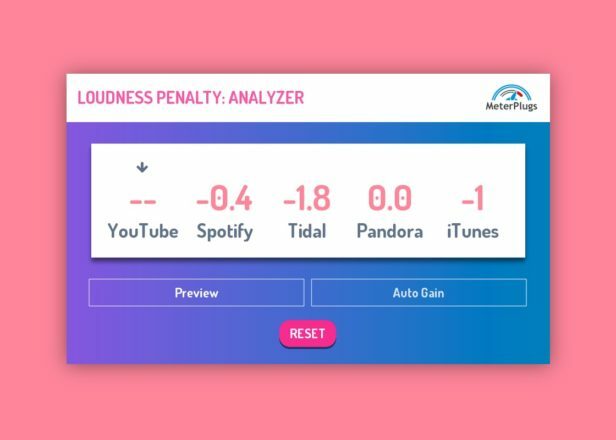 Loudness Penalty is designed to highlight the different loudness standards that Spotify, YouTube, Tidal, Pandora and iTunes employ, and tell you how much your tracks will be turned up or down to ensure a more consistent listening experience. Loudness Penalty works in your DAW in real time, making it possible to see how your track will sound on different services before mixing it down. The plugin costs $49 from MeterPlugs, but is available at an introductory price of $29 for a limited time. You can also test it for free here.